Barefoot Sound, founded by Thomas Barefoot, came to market with a simple and focussed ambition. Recognising the shifting trends in the recording industry, with the plight of major Recording Studios and an exponential increase in smaller, well-equipped but lower costing Studios. Thomas Barefoot realised there was an obvious need for speakers that, in his words, "transcended the usual distinction between near and mid fields." Believing it was possible to create a pair of speakers that would be accurate and room independent enough to conduct professional mixes on...whilst being loud and impressive enough to act as mid-fields - the original Barefoot MicroMain 27 (MM27s) were born. 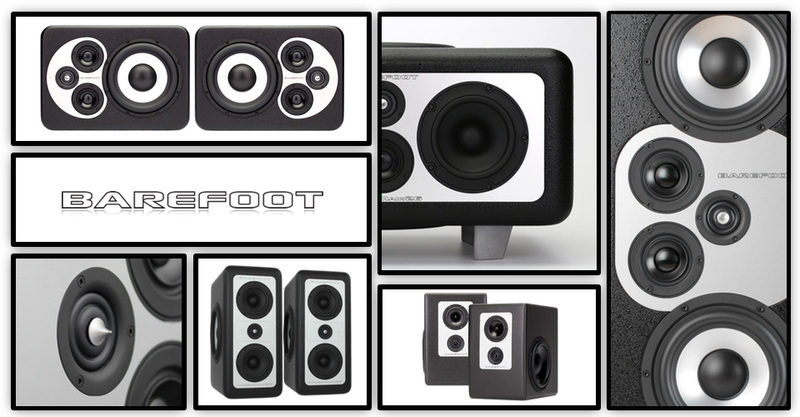 We at KMR Audio are lucky to be Barefoot's exclusive UK importers. We feel these are the most immersive, accurate, detailed, impressive, non-fatiguing recording monitors we've probably ever heard. Ok, no studio monitor in the world is going to be all things to all people, but we consider the Barefoot range and the new 'Gen2' revisions as close to being this holy grail as is available today. The Barefoot Sound range is brilliantly versatile, there are the smaller MM35s, and MM45's, the MM27 and MM26 going up to the MiniMain MM12 and the larger Masterstack12. Barefoot speakers are usually in high demand, and with the introduction of the NEW FP01 more so than ever. So come and have a listen in our demo room and find out if the Barefoot Sound is for you!